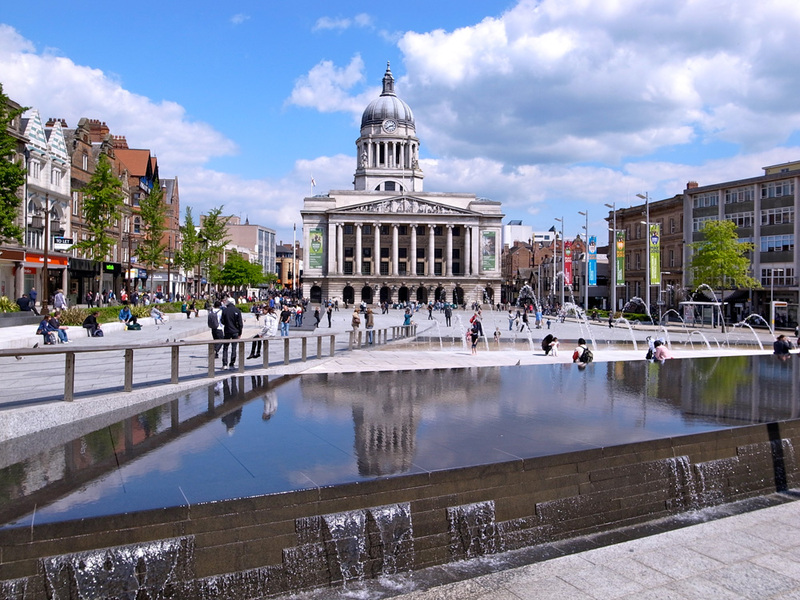 Once, Nottingham led a cultural revolution in the UK. D H Lawrence was born in Eastwood, eight miles from the City. The village has a Blue Line trail that guides visitors around eleven sites of interest. The great man deserves it. Lawrence wrote Sons And Lovers the classic novel of British working class life and its complicated masculinity. The original name for Nottingham was Snottingham. Nottingham is not trendy but it could have been worse. If Snottingham sounds unlikely, it was ruled by a Saxon chieftain called Snot, think of Johnny Cash and A Boy Named Sue. By the 15th Century Nottingham led the export trade in religious sculptures but like the textile industry that was established during the Industrial Revolution it has declined. The City is not as quaint as the legends that attract tourists. Its lace industry and Raleigh bicycle factory did not pay high wages. Like the City, the working class community of the Meadows has a low national profile, yet it has the highest rate of children living in poverty in the country, and 45% of Meadows children who attend primary school are eligible for free school meals. A plan to develop the area and rescue lives was cancelled by big heart David Cameron in 2010. The hardship continues. The twelve months I spent in Nottingham were the grimmest of my life. Nottingham was where I learned about my limits and those of just about everyone else. 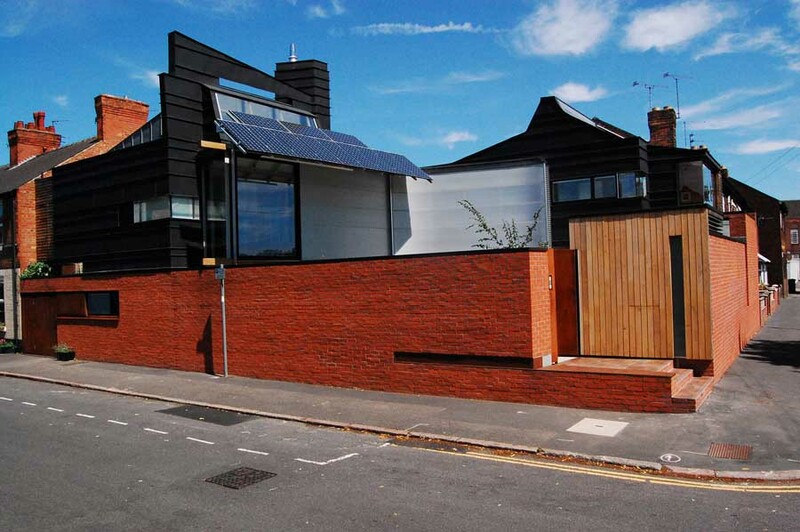 Julian Marsh, though, has built a splendid eco home in the Meadows. He lives in his home and is part of the community. Nottingham has the largest publicly owned bus network in England. It wins awards for its service. Friend to drowning refugees David Cameron probably intends to privatise it. Nottingham had and has good traditional pubs. Its history helps. The Salutation was built in 1240, and The Trip To Jerusalem is the oldest pub in the UK. It would take nerve to make either of them trendy. The Trip To Jerusalem is next to the well-maintained Castle. The Sheriff of Nottingham offended Richard the Lionheart because he was loyal to Prince John. The offended Lionheart seized the Castle but Robin Hood was no help because he did not exist. The Nottingham Playhouse has a distinct repertory. It mixes comedy, playhouse, challenging drama and lectures. In November there is a ‘pay what you can’ performance of The Duchess Of Malfi. This Jacobean drama tells of the blood feud that happens when a Duchess marries below her class. D H Lawrence and Sillitoe would approve. Posted in A Boy Named Sue, Beatles, Brian Clough, D H Lawrence, David Cameron, Johnny Cash, Julian Marsh, Nottingham, Nottingham Playhouse, Richard The Lionheart, Robin Hood, Saturday Night And Sunday Morning, Sons And Lovers, The Meadows Nottingham, The Trip To Jerusalem and tagged Culture, tourism, travel, UK, UK history on September 5, 2015 by Howard Jackson.